Gregg Jaden takes you on a journey along his travels. Showing you first hand how he works in the field and what his workflow is like. The simplification of backups that G Technology Mobile G-Drive SSD’s provides is unmatched pro performance. Crush, water and dust resistant drives allowing him to never stop backing up his 4, 6 or 8K footage. Gregg Jaden and 4 fellow Sony Alpha Collective Members hosted Five winners of the #BeAlphaChallenge. The winners had the unique opportunity to journey to the Hawaiian Islands with members of the Alpha Imaging Collective. They explored the islands from below the surface of the ocean to the skies above the mountains. They came back with more than just memories. They came back with experiences. We reached out to the photographers who went on the trip to find out more about what they saw and how they photographed it. G Team members Gregg Jaden, Jerry Ghionis, and Aaron Lieber and talk about how their work never stops and why they use G-Technology products to keep up with the fast pace of production. Gregg is a member of the Sony Alpha Imaging Collective who is all about travel, film and adventure. His photos, taken with his Sony α7R III, share interesting perspectives of his travels and are accompanied by great storytelling and thought-provoking captions. He does a great job of conveying how valuable travel has been to his life, and his photos aim to get others to realize that value too. A detailed article on Gregg Jaden’s glacier heli trip and what equipment he brought. Featured on Sony Alpha Universe of all the items I bring with me on my travel adventures. Most of my projects take me to remote places where I have only one chance to get the shot so what I bring is vital to my success. For my expeditions, I have to travel as lightweight as possible and at the same time have as much gear as I can carry to get the right shots as I move through each location. It’s a balancing act. The goal of my recent glacier project was to pack light as I would be flying to the top of a mountain via helicopter and I was limited by space and weight restrictions. I usually operate with one or two Sony Alpha mirrorless camera bodies and two or three Sony lenses. A lot of photographers use a “Holy Trinity” of 16-35mm, 24-70mm and 70-200mm. My trinity is a little different. In addition to my 16-35 and 24-70mm Sony G Masters, I use the 100-400mm f/4.5-5.6 G Master as my long lens. With these tools, I’m equipped for almost any landscape situations. I live by the motto, ‘It’s better to have it and not need it than to need it and not have it.’ As long as I can carry it, I bring it! Gregg Jaden and 9 other Sony’s Alpha Imaging Collective recently trekked through the desert landscape of northern Arizona to capture some of the finest views the American Southwest has to offer. opening with one of the most magnificent natural wonders in North America, the photographers first stopped for a few days to explore the south rim of the the Grand Canyon and even hiked down along South Kaibab Trail. Next the group headed to Page, Arizona where they had special access to the highly sought after slot canyons (including Antelope Canyon), a special perch above Horseshoe Bend, and a spectacular sunset and night session at remote Alstrom Point. Interview of my Hang Son Doong Expedition in Vietnam using the Canon 5D MK III. Includes camera settings and breakdown for each shot - Canon's EOS Magazine. "One of the trickiest things about this type of expedition is the environment – cameras get covered in grit and banged around, lenses fog and batteries drain. It’s dark and humid. 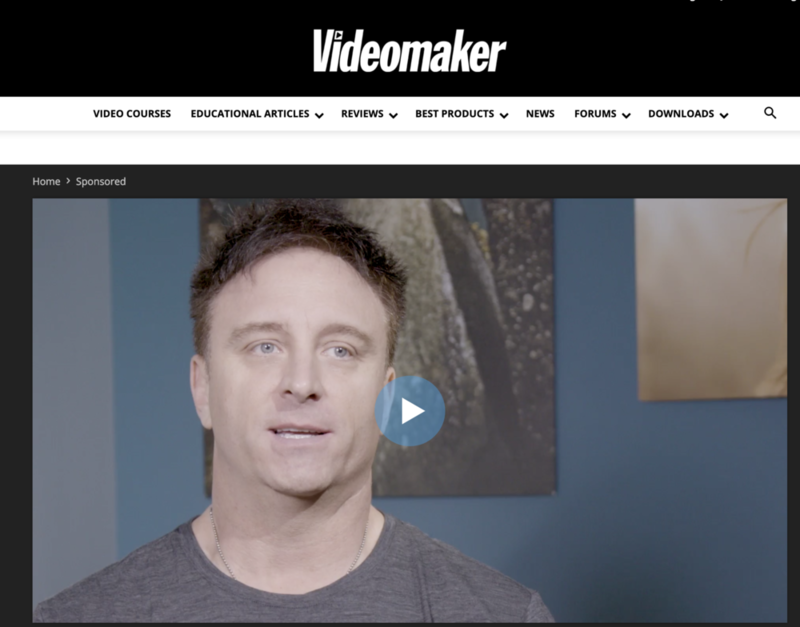 It’s difficult to light scenes with the limited light we had and the lights didn’t last long, so you needed to prepare each shot in the dark before actually lighting it." "Hang Son Doong Cave which means “Mountain River Cave” located in Vietnam. What makes this cave so unique is more people have been on the summit of Mount Everest than inside this massive cave. Less than 800 explorers have been inside this cave making it a rare photography opportunity." 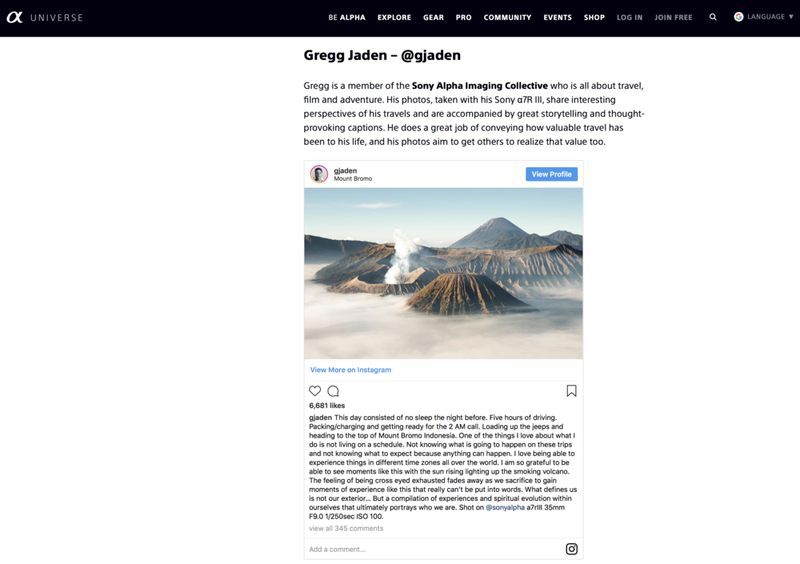 Gregg Jaden featured on HOYA USA website as a sponsored HOYA Ambassador. Learn what filters I use and when I use them.